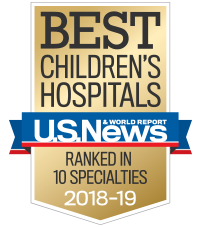 If you are a pediatrician planning to take a vacation and are concerned about your patients getting the best possible care while you are gone, Children's Urgent Care Centers can help. Step 1: Call two weeks prior to your vacation to let our staff know your name, practice information and the dates your office will be closed, allowing us time to schedule additional staff. Step 2: Change your telephone message or answering service to direct patients to the Children's Urgent Care Center in your neighborhood. Step 3: Call the Children's Urgent Care Center in your neighborhood to request a pad of tear-off maps to distribute to your patients. We are sensitive to the physician-patient relationship. Patients are always encouraged to return to their referring pediatrician after treatment. To ensure the continuation of patient care, our team will provide you with a copy of the discharge summary that was given to your patient.